WordPress and beer ? Why not! If you are looking for a theme for your pub, bar or brewery then this is the list for you. We have hand-picked a collection of suitable alcohol related themes. These WordPress themes are suitable for: pubs, bars, breweries, wineries, distilleries, microbreweries and brewpubs. WordPress is a great piece of software to use for small business websites, its open source which means free for you to download and use. It’s quite possible to build a 100% free website using WordPress and free themes and plugins. Your only cost would be web hosting which can be cheap if you use shared hosting, or slightly more if you go for a specialized managed hosting company. If you are new to WordPress, we do recommend choosing a premium theme – these types of themes cost a small amount of money, typically around $50 or so, but because they are paid for you will receive customer support from the theme developer which could come in handy if you run into any problems installing or configuring your theme. Design wise these themes all convey a suitable message, there are more traditional layouts and imagery suitable for pubs and breweries, crisper and modern layouts for wineries and they all include features you need for this type of website. Display good quality images of your establishment or product, opening times, reviews and other information your guests require. 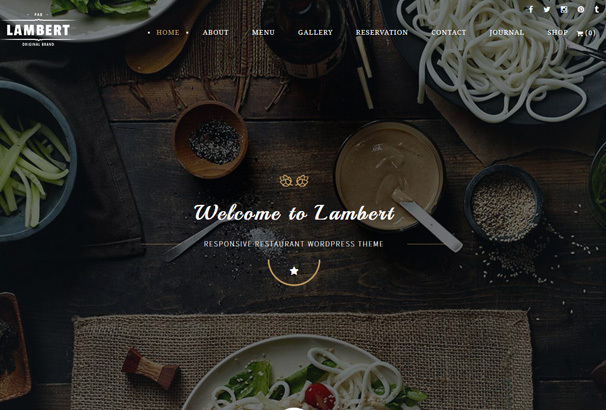 Here are the Best WordPress Themes for Bars, Pubs & Breweries. Brewery has a wonderfully dazzling page layout and an arresting colour scheme. Not only that this website theme has a functionality that is seldom matched. With all its different functions and appeal, Brewery is the most ideal theme for promoting and advertising services and products. 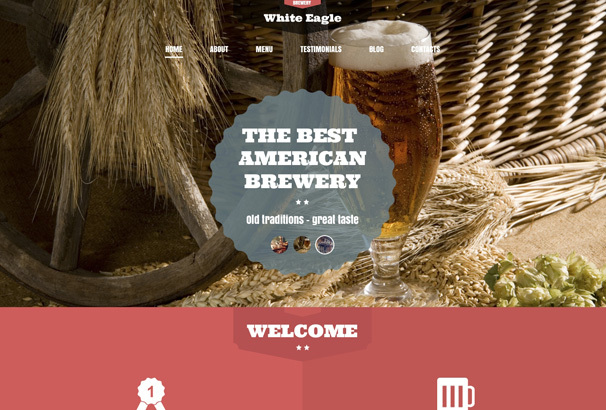 Brewery Theme is a really unique and alluring website theme. 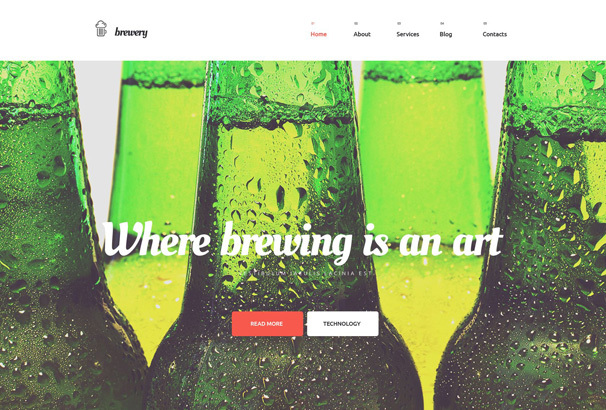 With its modern and striking design, Brewery Theme is a retina-ready website theme has a big hero slider that captivates the viewer with its tempting imagery. This theme is not only practical and efficient, with its layout and appeal the viewer is bound to want whatever you’re selling/promoting. What can only be termed as classic, American Brewery has the style and vibe of an old-fashioned pub or brewery. No matter how much the new style may take over the world, this website theme is the reminder that old is most definitely gold as made obvious by the fact that this theme is well loved and appreciated. Best for promoting pubs, breweries or even products, American Brewery is perfect for all the people that are old fashioned and have a knack for the classics. British Pub is the perfect blend of old and new. The layout itself expresses how this theme merges the best of both worlds, the contemporary and the old. Although the layout, font style and header layout is very modern and chic, the picture shows a perfect glass of foamy old fashioned beer. This theme is ideal for pubs and breweries that want to highlight beer as their primary product. 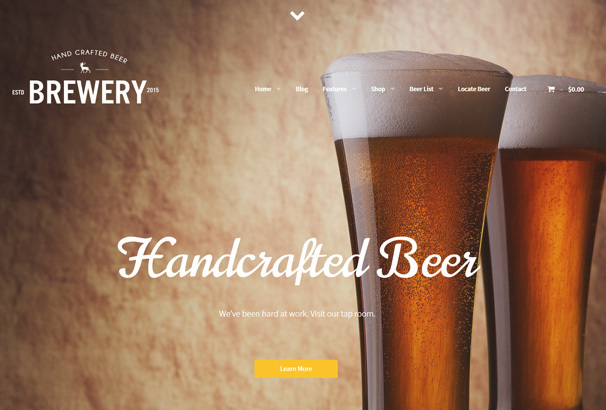 For breweries and even businesses that deal mainly with beer or other beer related products, Premium Beer is the ideal multipurpose website theme. 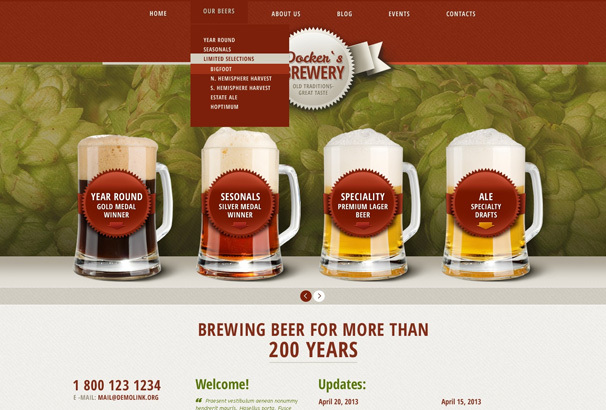 With an interesting and bold layout, Premium Beer is a very memorable and responsive website theme. It has a good combination of colours and imagery making the theme all about beer. 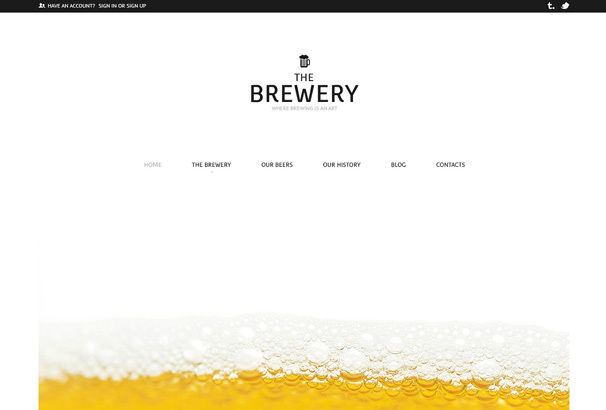 If you want to make your viewers feel like they’re staring at a real life glass of beer whenever they open your website, The Brewery is the perfect option for you. This classic website theme brings together high resolution photos and stylish font style to create an overall impressive and striking website that is not only memorable but professional as well. 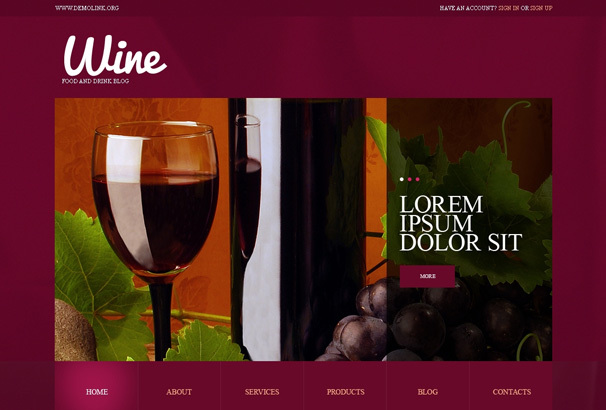 This elegant and exquisite website theme is perfect for businesses or agencies that deal particularly with the delicacy that is wine. The exotic layout of the theme and its stylish font style adds to the appeal of the responsive design. Wine is bound to attract the attention of all wine connoisseurs. 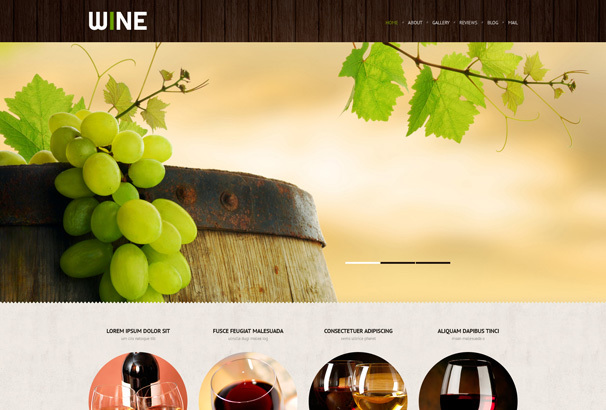 Winery Theme is one of the best website themes for bars, pubs, breweries and all other businesses dealing with wine in particular. Centred around the sumptuousness of the red wine, this immaculate website theme has a wonderfully alluring vibe. With its regal red colour scheme paired with the straightforwardness of the image of a glass of wine, Winery is not only an elegant but a highly professional theme as well owing to its responsive design. 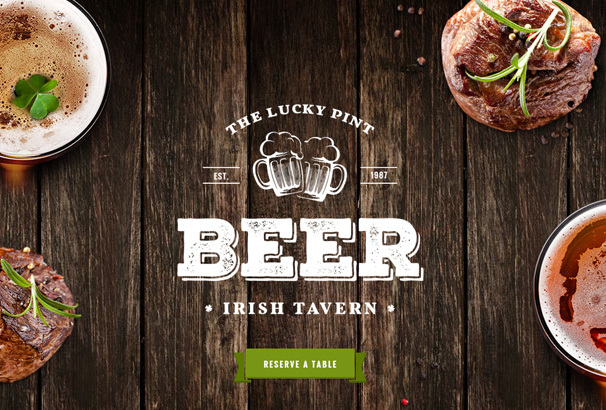 Perhaps one of the most homeliest and friendly website themes is Tavern. Designed particularly for bars and pubs that are welcoming and friendly to say the least, Tavern helps you advertise your high end or even domestic setup in a very appealing way. The great thing about Tavern is that because of its responsive design this theme runs wonderfully on whatever device you choose be it phones, tablets or computers. 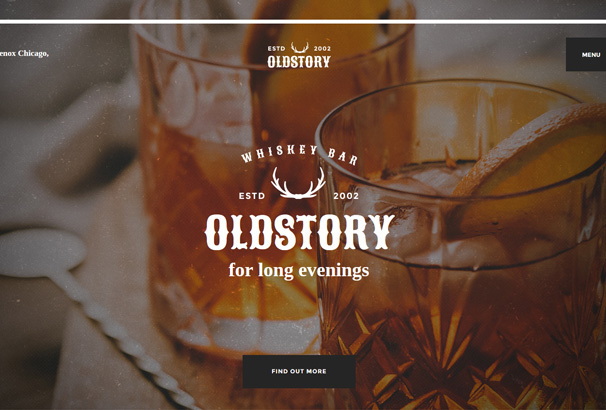 Old Story is a website theme that reminds one of the old-schools pubs and bars with just one look. The images on the page are tempting to say the least truly reflecting the essence of the old-fashioned direct sort of pubs and bars. 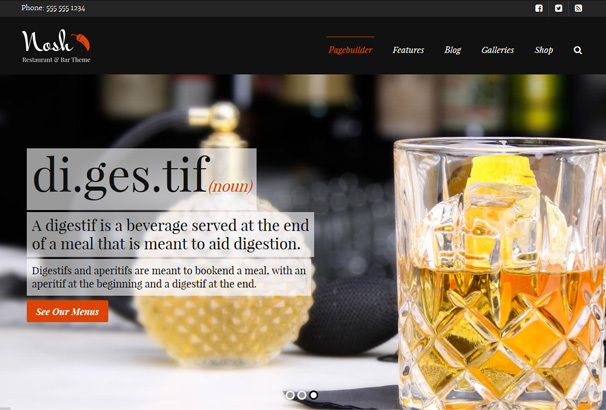 Particularly suitable for Whisky Bar and Shop, this theme’s responsive and highly professional design is bound to leave an amazing impact on both the user and the viewer. 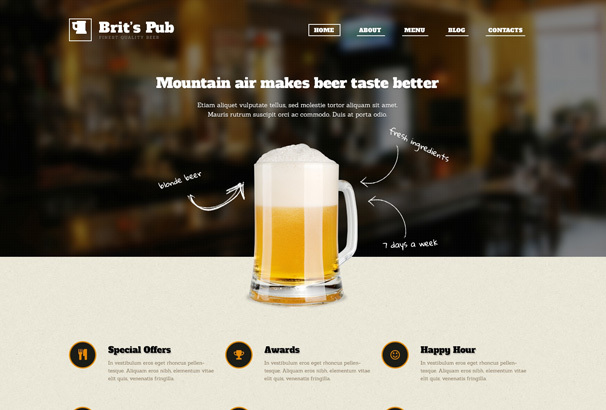 This website theme is the perfect theme for any modern day, contemporary pub/bar or cafe. For all the minimalists that prefer simplicity with style and elegance, Lambert is the perfect option. Not only does this theme help you create a very chic website, it also helps you promote and establish your business and to acquire an audience for it. 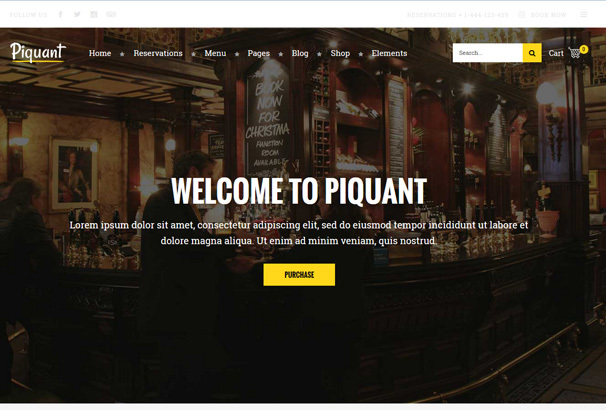 Piquant with its immaculate six home pages is a very contemporary and stylish website theme. The images on the main page layout reflect the true essence and vibe of your modern yet homely establishment. This responsive and professional website theme allows you to create the best website for your cafe, bar or restaurant in only a few minutes. Nosh is a very stylish and posh website theme particularly designed for sophisticated and elegant establishments. This smart website theme with its highly delicate design is a very good option for all the people that prefer something direct and stylish. Not only that, Nosh is very customizable and flexible only adding to the beauty and charm of your website. 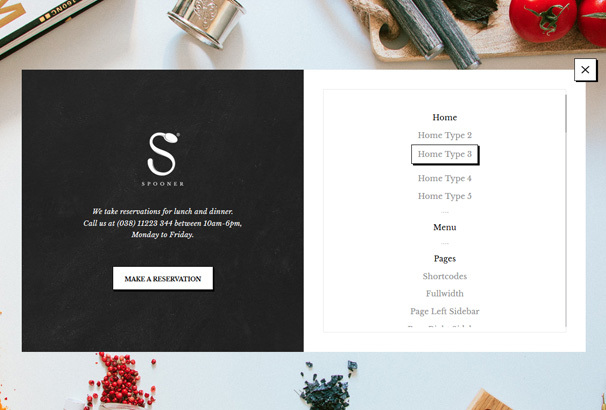 Spooner is a very cool and hip website theme that is not only very contemporary and chic, it also helps you create a very appealing and homely website for your business whether it is a restaurant, bakery, coffee shop or a bar. This comfortable theme allows you to build yourself a very direct and dynamic website for yourself increasing its diversity and dynamism. 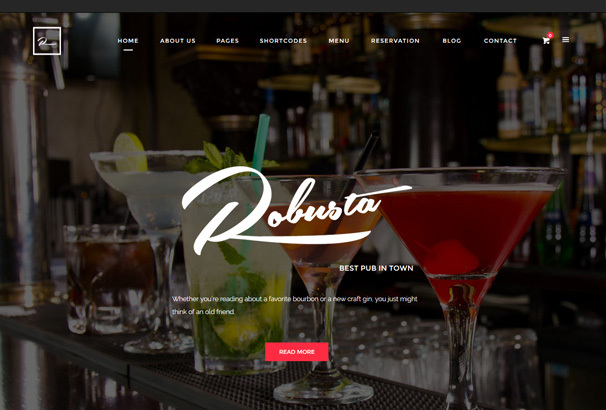 Similar to its name, Robusta is a very robust and classy website theme. Its chic and contemporary design with the highly elegant font style makes it one of the most modern and posh website theme available. Robusta emanates excitement and liveliness only adding to the practicality and functionality of its efficient and responsive design. 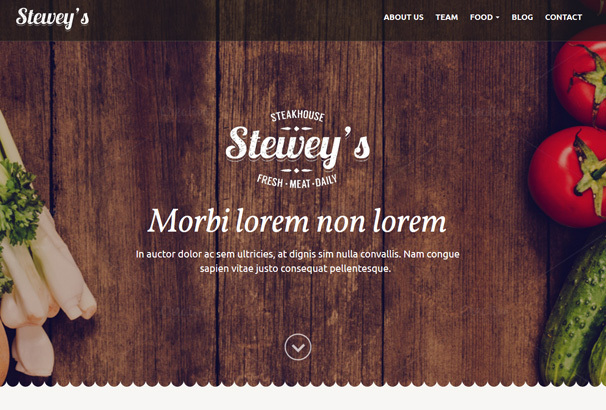 The simple, stylish and very hip design of Stewey’s Theme is fantastic for bars and restaurants. Its elegant and trendy design paired with the compelling layout and efficient functionality, Stewey’s Theme is one of the most diverse website themes that are suitable for all businesses and establishments. Whether you want a website only to promote your place or to sell products, Stewey’s Theme is the perfect option for pretty much every one. 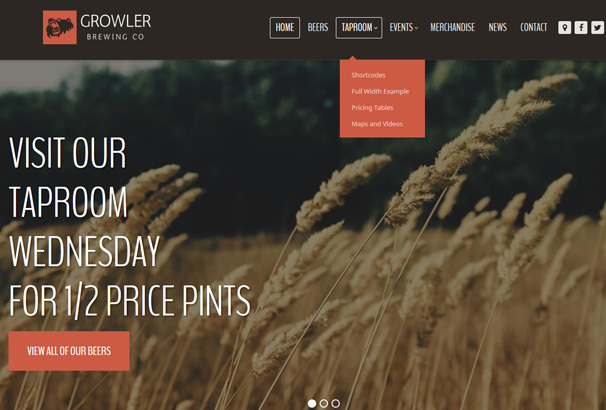 As unique as the name is, Growler Brewery is a very stylish and modern website theme for WordPress. With its mellow imagery and colour scheme paired with the bold font style and header layout, Growler Brewery is a very stylish and creative website theme perfect for businesses and even home based brewers. This theme also comes with a very detailed help file with eCommerce as well. This clean, contemporary and stylish website theme is perfect for all homebrewers, beer aficionados and breweries. 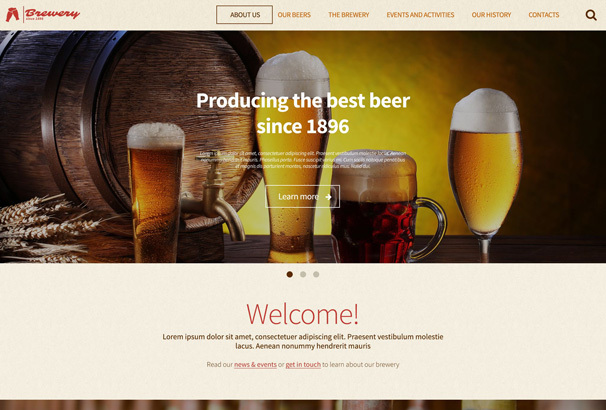 Its classic beer centred layout is very appealing for all the users that have a thing for beer. Whether you are a business only promoting yourself or selling products as well, Brewery’s e-commerce templates are very impressive. Not only that Brewery has very good speed and efficiency. Moonshiners is one of those most impeccable website themes that are excessively alluring. 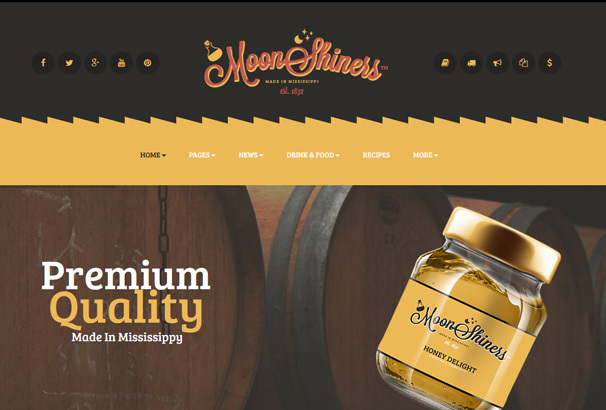 Particularly designed for brewpubs, microbreweries and distilleries Moonshiners is perfect to help you promote your business and add a charm to your products and services. This creative and responsive WordPress theme allows you to build yourself just the kind of website that you desire. Can you list article for themes in grid section? I need few themes in simple design, 4×8 grid box, left sidebar for my video blogs.